Android 2.1 coming to Sprint HTC Hero and Samsung Moment | Android Blast! Sprint is looking forward to offering Google's Nexus One Android phone. As part of the announcement of the Nexus One comes a tidbit of information about Sprint's existing Android handsets. 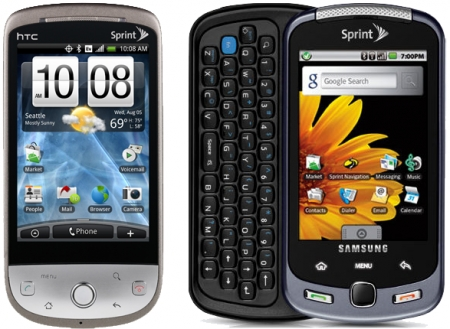 Sprint HTC Hero and Samsung Moment users have been waiting for an Android 2.1 update for some time. Now Sprint says they will be updating the previously mentioned handsets sometime in April.